Board service comes with some potential risks that, if not adequately addressed, can result in severe consequences for the attorney, the attorney’s firm, and/or the organization. Attorneys can be eager to serve on boards of directors of outside organizations and with good reason. After all, membership on a board can increase the attorney’s visibility, create connections that lead to new business and, in the case of nonprofit organizations, help the attorney give back to the community. For younger attorneys, service on a board can also provide invaluable “real-life” business experience. However, board service comes with some potential risks that, if not adequately addressed, can result in severe consequences for the attorney, the attorney’s firm, and/or the organization. 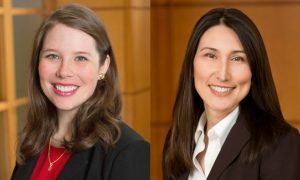 In reaction to the “Silence Breakers,” a bipartisan group of lawmakers recently introduced legislation that would prohibit employers from including sexual harassment or gender discrimination claims in their arbitration agreements.